While the reusable shopping bag is not a new idea, in a category that has seen very little innovation the Packbasket represents a complete reinvention of the concept, offering solutions to problems which address the short-comings of our current reusable shopping bags. A typical shopping bag today lacks structure, but the Packbasket features a semi-rigid internal frame and a hard flat bottom for increased stability, independent of load, to keep your shopping standing upright. 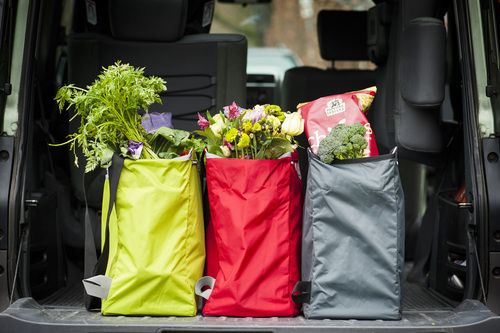 It has a durable ripstop nylon bag that is removable to hand wash to avoid bacteria build up, and adjustable handles which offer two different carrying options either by the handles as a tote or as a long handle over the shoulder. My Cleverbox is an online store selling stylish and clever reusables. Lunchboxes, drink bottles, bags and food storage.